You’ve got credit card debt, and you hate it! Maybe a snapped timing belt in your car (and the huge bill that followed) sent you into a credit card spiral, or you lost your job, or you simply have a habit of swiping now and worrying about the consequences later. Whatever the reason, your credit card debt feels like a lead weight around your ankles, and it’s time cut yourself free! This is not an article about small changes you can make in your life to pay down your debt little by little. We aren’t going to tell you to stop buying $5 lattes or to cut coupons so you can save $10 on groceries. 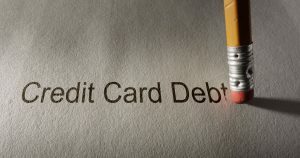 According to NerdWallet.com, the average household with credit card debt is looking at $16,061 of debt on their cards. Giving up your occasional lattes isn’t really going to put a dent in this situation. Instead, if you really, truly want to get out of credit card debt this year (or at least take a big chunk out of it), then you are going to have to make big, bold, game-changing decisions. These are decisions that will affect your life. We’re going to start with the easiest suggestion. Cut up all but one of your credit cards. From now on, you don’t buy anything you can’t afford. This is the surest way to stop the financial bleeding, especially if you have a tendency to swipe your card for instant gratification. Yes, this means you can’t blithely go on shopping sprees, but it also means you won’t be paying 20% interest on your purchases for years. Paying with the money you actually have in your bank account can be a huge wakeup call and help you understand how to live within your means. We suggest keeping one credit card handy for emergencies, but choose your card with the lowest credit line to keep yourself in check. Vacations are good for the soul, but not necessarily for the wallet. According to a study by American Express, the average cost of a vacation is $1,145 per person. That’s money you can’t afford to spend if your number one goal this year is to get rid of credit card debt. You can always see Big Ben, the Great Wall of China, or the Eiffel Tower in the future when you are debt free. This year, consider a staycation, where you enjoy all the beauty of your current locale while staying in your home. If you grew up where you currently live, then chances are you haven’t done a bunch of the local touristy things. Take a city tour, go to your local zoo, eat out at a nice restaurant (just this once; you’re on vacation) and see a show. Even with a little extra spending, you’ll still easily be able to save $500 or more that would have gone to airfare and accommodations. 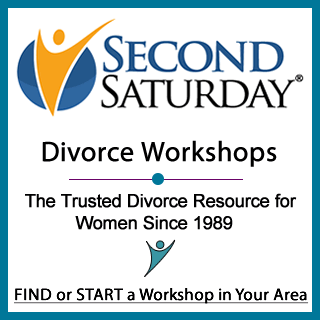 If you have a family of four, that’s an easy $2,000 back in your pocket. Going out to eat is fun, and it’s definitely something we consider a right of the middle class. The problem is…it’s also expensive! According to Trent Hamm over at The Simple Dollar, Americans eat out an average of 4.2 times a week. Hamm calculated that the average meal out cost $12.75 per person, while a meal at home cost close to $4. That’s a savings of $8.75 every time you stay in rather than eat out. If you usually eat out five times a week (including fast food), you could save $2,275 a year by eating in. Double that amount if your spouse eats in, too. Want to really ramp up the savings? Consider also giving up alcohol for a year. We know, that’s asking a lot, but you’ll probably get skinnier, make fewer embarrassing calls to old ex-boyfriends, and save an estimated 1% of your yearly salary (which is what the average person spends on alcohol). If you make $50,000 a year, that’s a nice $500 in savings. We know how good it can feel to slide behind the wheel of a brand new car and drive it off the lot. We also know that the value of that car drops every day that you drive it. A car is an asset that will almost always lose value (unless you happen to collect antique classics). Additionally, the purpose of a car is to get you from Point A to Point B safely and comfortably. You can just as easily do that in a used 2007 Honda Civic for $10,000 as you can in a brand new Audi TTS Coupe for $52,000. You may love your high-priced car, but if you are serious about cutting your credit card debt, consider selling it for something used, reliable, and with a clean history. You could easily put $10,000 or more toward your debt with this switch. Even better, if you can buy a used car outright, you’ll immediately cancel out your monthly car payments, which frees up more money to pay down your credit cards. We’re just getting started with the savings suggestions. In the second part of this article, we throw away the hedge clippers and go right for the chainsaw. You’re going to get even bigger, more drastic ways to cut your credit card debt. In the meantime, don’t waste your money by paying credit card interest. Consider making a credit card balance transfer (and then immediately cut up the card so you can’t use it anymore). Pause to check out that article on balance transfers, then let’s keep moving to Part Two!